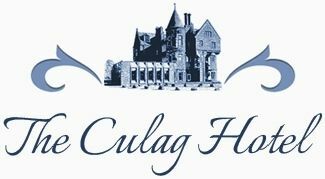 The Culag Hotel is situated on the pier in the fishing village of Lochinver. From Inverness, take the A9 north towards Dingwall then turn off onto the A835, signed to Ullapool. From Ullapool, follow signs to Lochinver on the A835 then the A837. The journey time by car is approximately 2 hours, depending on how often you stop to admire the view! Scottish Citylink operate bus route 961 from Inverness to Ullapool. Stagecoach Highlands operate route 61 to Ullapool. Stagecoach Highlands then operate route 167 from Ullapool to Lochinver during term-time. Scotbus operate bus route 809 from Ullapool to Lochinver year-round. From May until September D&E Coaches operates a bus service from Inverness to Durness via Lochinver. This bus service also allows passengers to transport bicycles. Please check the links below for more information. As well as the A835 there is an alternative route from Inverness following the A9 north from Inverness. One mile north of Tain, take the A836 via Bonar Bridge and then the A837 signposted to Lochinver. This route, whilst longer, is particularly scenic in the autumn. For those wishing to take in the costal scenery, turning left at Drumrunie from the A835 road some ten miles north of Ullapool will take you along a single track coastal road to Lochinver, a journey of about one and a half hours by car but well worth it for the panoramic views of the North West. To make a reservation or to have us answer any of your queries, please call now, or alternatively send us an email using the form on the Contact Us page. We will endeavour to answer all your queries.